Yamaha’s rich history of Grand Prix competition spans six decades, and continues today with our awe-inspiring YZR-M1 Factory MotoGP bikes which gives Yamaha the ability, knowledge and determination to create exceptional machines like the YZF-R1M, YZF-R1, YZF-R6, YZF-R3, and YZF-R125. The limited edition YZF-R1M has quickly established itself as the ultimate YZF-R Series model, and today it is widely regarded as being one of the most advanced and capable track day bikes. The YZF-R1’s own track record speaks for itself, with an Endurance World Championship title in 2017, a record breaking hat trick of victories at the prestigious Suzuka 8 Hours, as well as 2017 Le Mans and Bol d’Or 24 Hours race wins to its credit. The YZF-R6 blew away the 600cc Supersport segment on its launch, and won the 2017 FIM Supersport World Championship in its first year of competition. And the YZF-R3 and YZF-R125 are currently allowing younger riders to get their first taste of supersport racing and success in various Cups held around Europe. In R World, every YZF supersport model can trace its lineage straight back to our MotoGP-winning YZR-M1 race bike. And now, Yamaha also gives customers the opportunity to learn how to use these machines to further sharpen their track riding skills by providing one more avenue for customers to Enter R World – Official Riding Schools in Europe. These schools are aimed at customers who wish to improve their track riding skills – to become faster and safer – by getting the most out of their Yamaha supersport bike. Each riding school is guaranteed to grant customers the knowledge needed to ride Yamaha supersport machines like a born racer. From finding the apex to understanding the bike inside and out, a Yamaha Official Riding School is the best place to engage with and learn from the highest quality Yamaha recognized racing tutors. 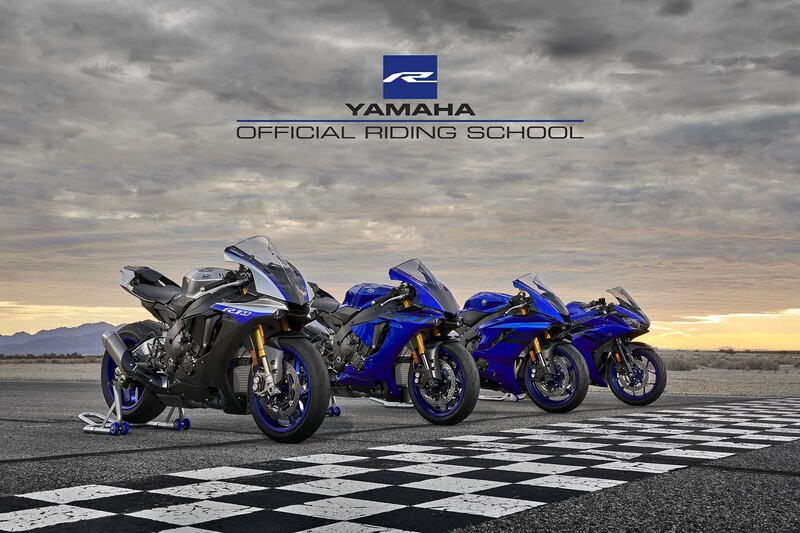 Various courses are offered and each course is specifically tailored to work with Yamaha supersport bikes. Customers will be taught both on and off the bike and every bit of knowledge gained can then be put to test on the racetrack under the watchful eyes of certified instructors. Depending on location, Yamaha supersport machines can also be rented in case a customer wishes to do so. Yamaha Official Riding Schools can already be found in France, Italy and Spain with more schools in other countries planned to open in the coming months.